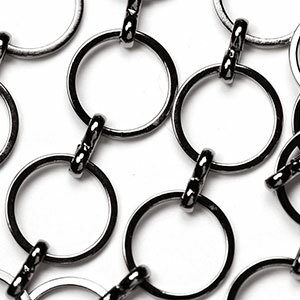 Affectionately called "Hippie Chain" this 12mm round flat closed ring is connected with pinched "8" link. Looks so great finished with a beautifulmetallic plates. Load it up with your favorite baubles and layer it for a great look. Antique Copper plate over brass, Plated in USA!! !